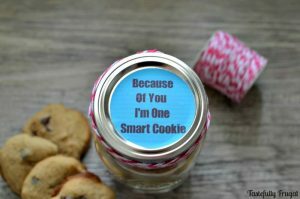 Create a personalized gift teachers will love and will use all year round. I am a big fan of personalized gifts. 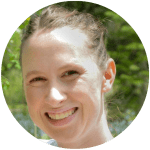 Whether it’s giving or receiving there is just something special about gifts that are specific to the receiver. I remember for Christmas one year my grandma got me a bottle of my favorite perfume but she had my name and a basketball engraved on the bottle. It meant so much more to me because she took the time to make it personal for me and I actually still have the bottle and use the perfume to this day (I’ve had to refill it several times between now and then). So when I was thinking about what kind of gifts would be fun to give a teacher at the end of the year I knew something personal would go over well. 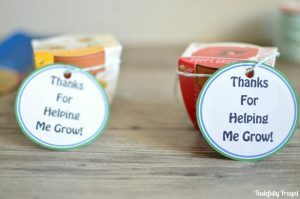 I also wanted to give our teachers something they will be able to use over the summer while they are relaxing and enjoying the few weeks they don’t have to be working around the clock. 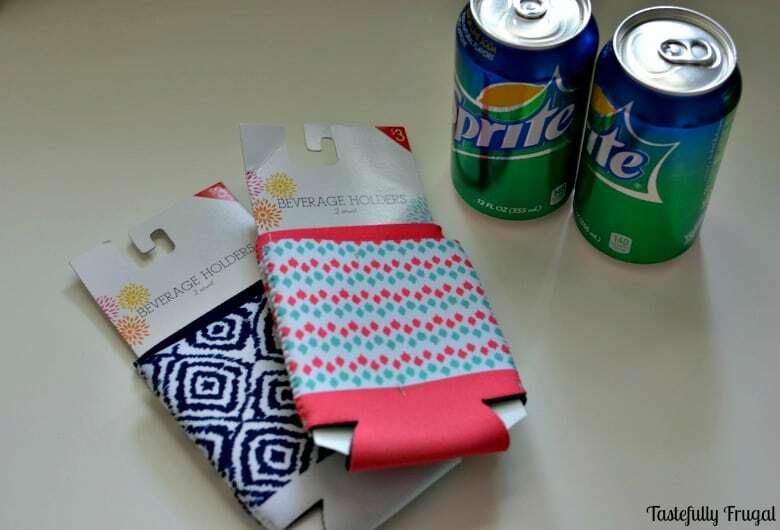 So when I was at Target and spotted these cute can koozies I knew they would be perfect. I’ve seen water bottles and coffee mugs with round monograms on them and loved the look so I decided to add one to the koozies. They were so easy to make too! I used the Cricut Design Space to design this monogram but you can use whatever program you know best. 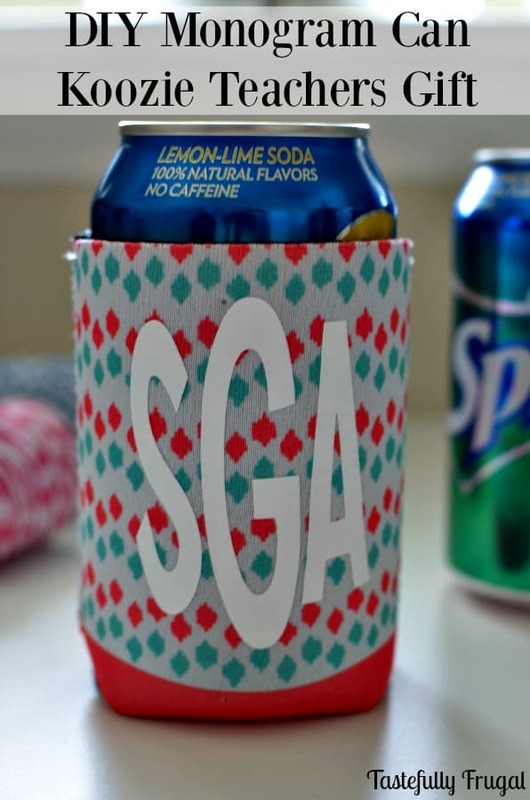 Measure your koozie height and width laying flat and decide an appropriate size (I chose mine to be 2.5″ x 2.5″). In your design space draw a circle that is the size you want your monogram to be (2.5″x 2.5″). Add a text box and your teacher’s (or whomever you are making the the koozie for) initals. Decide on a font (I used Impact). Fit the initials to about the size of the circle. Reduce letter spacing until all three letters are almost touching. Ungroup letters and stretch middle letter to be as tall as the highest point on circle (also make middle initial thinner if need be). Stretch outside letters to be about 75% height of the middle initial (you will probably have to thin these letters out too). Using your Cricut to cut monogram out of Iron On Vinyl (make sure to mirror image so it prints backwards). 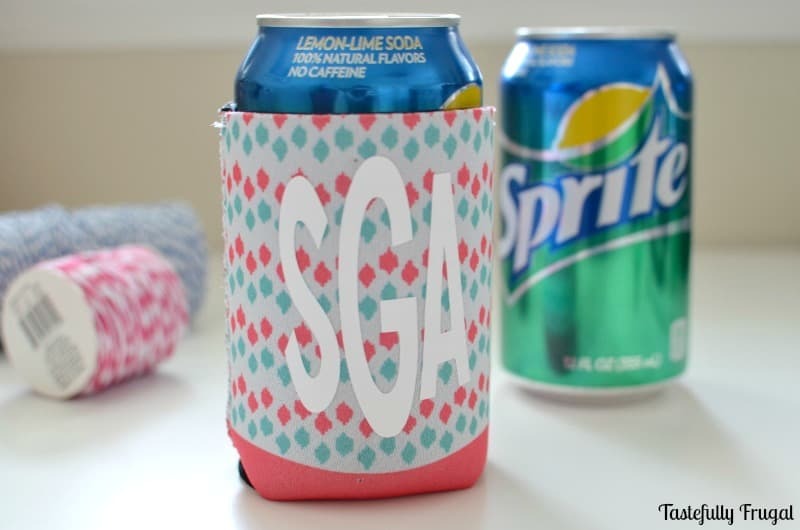 Iron on to koozie (for full tutorial on how to apply iron on vinyl see this post). 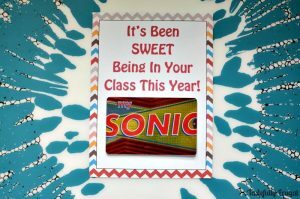 Add your teachers’ favorite soda to koozie and a few more for them to enjoy too! 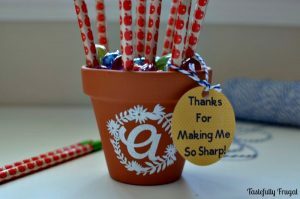 Do you like giving personalized gifts? What is the best gift you have ever received? I love those custom koozie ideas. The pattern you used is adorable. Thanks so much for the advice.